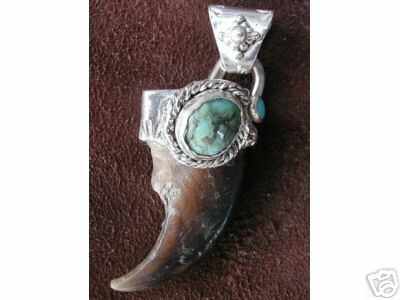 Native American Fine Jewelry: Page 18: Next Page: More beautiful pieces of jewelry for sale from my private collection. Purchased either directly from Native Americans, or through co-ops or Indian Traders. The Maass Collection of Native American Jewelry: Page 1: Start your tour of my sale items here. Page one is a Navajo Inlayed Knife.